In it's largest raise in years, the Social Security Administration has announced that there will be a 2.8% Cost of Living Adjustment (COLA) for 2019. The primary force behind this is rising health care costs, which is one of the largest cost drivers for seniors. The 2.8% COLA announcement from the Social Security Administration, which had been widely expected, affects 70 million people, about 60 million retirees plus disabled workers and spouses and children who receive benefits. The SSA also released a Social Security COLA Fact Sheet with additional details. There is also considerable debate surrounding the COLA inflation measurements the government uses to calculate the annual adjustment. Some advocates believe that the calculation artificially lowers the "real" impact of inflation, especially on retirees that have been hit hard by a combination of lower real estate values, steep losses in retirement savings due to multiple market corrections that past 10 years, as well as staggering increases in health care and prescription drug costs. Meanwhile, certain lawmakers feel the government data actually overstates the actual inflation numbers. (1) The COLA for December 1999 was originally determined as 2.4 percent based on CPIs published by the Bureau of Labor Statistics. Pursuant to Public Law 106-554, however, this COLA is effectively now 2.5 percent. The average and maximum Social Security benefits do not include delayed retirement credits. Social Security recipients who delay claiming benefits beyond full retirement age earn an additional 8% per year for every year they postpone benefits up to age 70. Those who retire before full retirement age receive reduced benefits for the rest of their life. The cost-of-living adjustment also affects the amount that Social Security recipients who claim benefits before full retirement age can earn without forfeiting any benefits, as well as the amount of payroll taxes that high-income workers will be subject to next year. 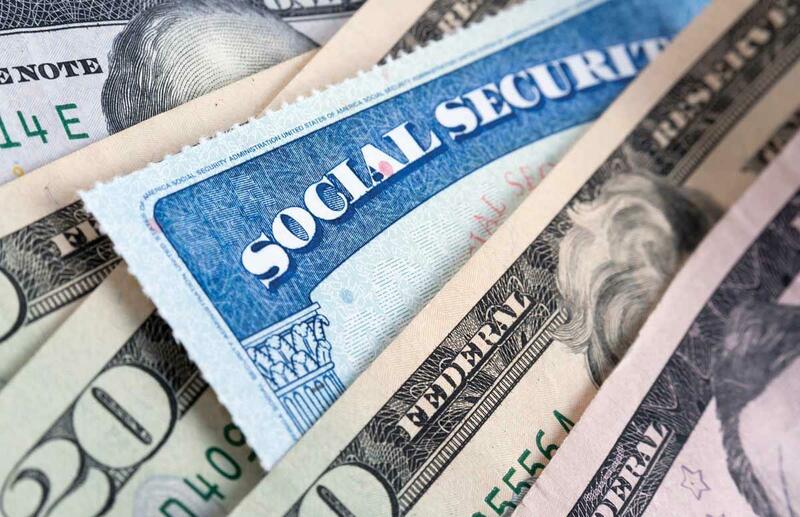 The earnings limit for individuals who claim Social Security benefit before their full retirement age will increase to $17,640 in 2019, up from $17,040 this year. Individuals who are under full retirement age for all of 2019 will lose $1 in benefits for every two dollars earned over $17,640 next year. The earnings restrictions apply only to salaries and wages, not investments, pensions or other types of income. However, the restrictions apply to anyone — including retirees, spouses, survivors and dependents — who collects Social Security benefits before their full retirement age while they continue to work. A higher earnings limit applies in the year a beneficiary reaches full retirement age. In the months preceding his or her 66th birthday, individuals can earn up to $46,920 in 2019, up from $45,360 this year. Individuals would forfeit $1 in benefits for every $3 earned over that limit in 2019. The earnings restrictions disappear at full retirement age, meaning an individual could earn any amount of money without sacrificing benefits once he or she turns 66. Benefits lost to the earnings cap are restored at full retirement age in the form of higher monthly benefits. Next year, the maximum wage base subject to FICA taxes that fund Social Security and Medicare will increase by $4,500 to $132,900. Employers and employees each pay 7.65% of their gross wages up to the maximum taxable wage base. Self-employed individuals pay the combined employer/employee rate of 15.3%. An estimated 175 million workers are covered by Social Security. About 18% earn more than the current maximum taxable wage of $128,400 in 2018 and will pay higher payroll taxes next year. The $4,500 boost in the maximum taxable wage base means some employees could pay an additional $344.25 in FICA taxes next year and self-employed workers an extra $688.50 in 2019. All earnings — even those above next year's $132,900 maximum wage — are subject to the 1.45% portion of the FICA tax that funds Medicare. Plus, individuals with earned income of more than $200,000 ($250,000 for married couples filing jointly) pay an additional 0.9% in Medicare taxes. Many retirees should see a real increase in their net Social Security benefits in 2019, unlike this year, when their 2% COLA was nearly wiped out by a $25 increase in monthly Medicare premiums. Premiums for Medicare Part B, which covers doctors' fees and outpatient services, are usually deducted directly from monthly Social Security benefits. The latest Medicare Trustees' report projects that basic Medicare Part B premiums will increase by about $1.50 a month, to $135.50, in 2019. The official Medicare premiums will be announced in the fall. High-income retirees pay more, in some cases much more, for the same Medicare coverage. Individuals with modified adjusted gross income of $85,000 or more and married couples whose joint income exceeds $170,000 pay a high-income surcharge on both their Medicare Part B premiums and Part D prescription drug plans. Surcharges, officially known as an income-related monthly adjustment amount, or IRMAA, are based on the last available income tax return. Premium surcharges for 2019, which will be announced in December, will be based on 2017 income. Robert Henderson is the President of Lansdowne Wealth Management, an independent, fee-only advisory firm in Mystic, CT. His firm specializes in financial planning and investment management for retirement, with a special focus on the particular needs of women that are divorced or widowed. He is an Accredited Asset Management Specialist and a Certified Divorce Financial Analyst. Mr. Henderson can be reached at 860-245-5078 or bhenderson@LWMwealth.com. You can also view his personal finance blog, The Retirement Workshop at https://LWMwealth.com/blog and the firm’s website at https://LWMwealth.com.